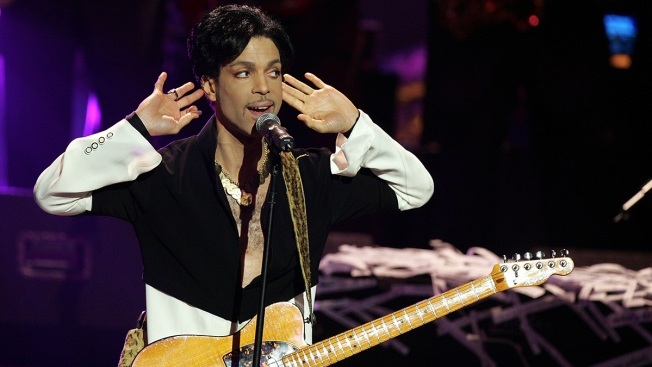 Musician Prince performs on stage at the 36th NAACP Image Awards at the Dorothy Chandler Pavilion on March 19, 2005, in Los Angeles, California. Prince was honored with the Vanguard Award. Prince hasn't been forgotten by fans in Cleveland, home to the Rock and Roll Hall of Fame. Cleveland.com reports that around 400 people clad in purple showed up to participate Wednesday in a "Prince Day" celebration at the downtown museum. Fans showed off their best dance moves and rocked out during an air guitar contest to songs including "When Doves Cry." The celebration came on Prince's date of birth. Organizers were careful to not refer to it as a birthday out of respect for the artist's faith as a Jehovah's Witness, whose practitioners don't celebrate birthdays. Kathryn Metz, manager of community and family programs for the Rock Hall, says Prince is a cultural icon who was important to everyone.